DRAGONLORD - DOMINION (CD) | Online Shop | Wizard LTD.
Eric Peterson, known as guitarist of the Thrash Metal Bay Area Legend Testament, founded In 2000 his Symphonic Black Metal side project DRAGONLORD, a supergroup of the special kind, with keyboarder Lyle Livingston and now ex-member Steve DiGiorgio of Testament and Jon Allen from Sadus. 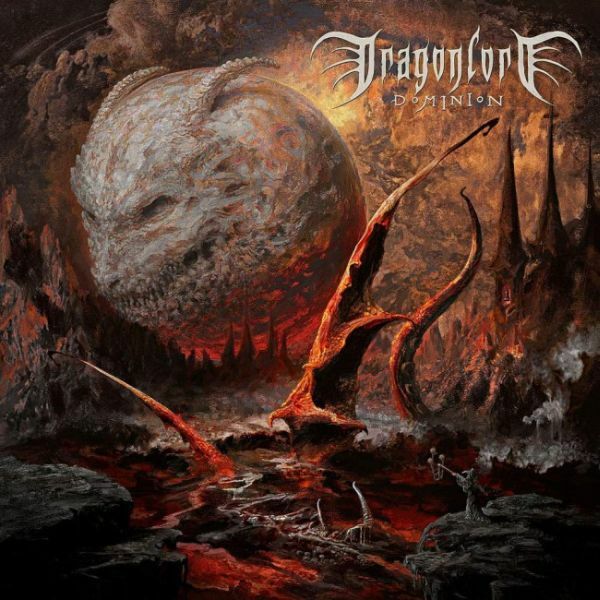 DRAGONLORD bring Peterson&apos;s typical Thrash-Riffs with the playful gothic feeling of modern black metal bands like Dimmu Borgir and Cradle of Filth paired with subtle allusions to Black Metal originals like Venom or Mercyful Fate. The development of DRAGONLORD&apos;s first two albums ("Rapture", 2001 and "Black Wings of Destiny ", 2005) to the cinematographic triumphal procession over brutal blastbeats, which one auf "Dominion" was immense. Peterson himself sings, plays guitar and bass; Livingston arranged Keyboards and piano; the drums prodigy Alex Bent (Trivium) takes over the Rhytmus; and Celtic Metal Sirene Leah contributes female vocals and choirs. Dominion was produced by Eric Peterson himself, assisted by sound engineer & mixer Juan Urteaga.